Welcome to the.gregor.institute, academic home of Gregor Richards. I teach at the University of Waterloo School of Computer Science. My office is DC2508. When applicable, my office hours are listed on the course web page of the course I am currently teaching. Students are advised to look there. In the winter of 2019 I am teaching CS842: Virtual Machines for Dynamic Languages. allows for truly-harmless type evolution (adding types with no effect on dynamic code). Using type system techniques to improve foreign function interfaces: FFI's typically wrap values from C, with the effect that accessing deeply nested data structures can have a significant performance impact, as well as defying all semantic reasoning. We are developing a type system and implementation which reflects C's types into the host language, thus achieving predictable, performant behavior. VM support for gradual typing: Conventional gradually typed languages use wrappers to enforce contracts. Our modified VM, HiggsCheck, avoids these wrappers by modifying object shapes. This allows HiggsCheck to implement gradual typing much faster—in some cases, hundreds of times faster—than existing solutions. Locus Types: A new way of writing types that minimizes syntactic overheads. Locus types reify the concept of "object created here" as a type, where the structure of that type is determined by the statically-testable facts about the changes to the object made in a particular function. Put simply, to declare a type, the programmer simply annotates which function makes objects of that type. Under the covers this uses TypeScript plus flow-based type inference. 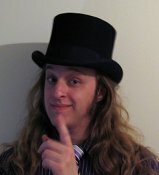 Low-Level Gradual Typing: C interfaces in dynamic languages usually involve a fairly expensive "thunk" layer which translates all dynamic accesses into simple memory accesses, and involves allocating dynamic objects to wrap each C object. Without a type system this is unavoidable, but with a (gradual) type system it should be unnecessary. We're implementing a variety of Lua that will eliminate this extra baggage for accessing C objects. Other possible projects: These are things I have on the docket but are not primary projects. A user study of the maintenance effects of gradual typing. Software engineering tools to suggest where gradual typing could be most beneficial, and equivalent dynamic analysis tools to eliminate gradual checks if they hinder performance. I am a member of the Programming Languages Group at Waterloo. The VM Already Knew That: Leveraging Compile-Time Knowledge to Optimize Gradual Typing. OOPSLA 2017. Gregor Richards, Ellen Arteca and Alexi Turcotte. ECOOP 2015. Gregor Richards, Francesco Zappa Nardelli and Jan Vitek. OOPSLA 2013. Gregor Richards, Christian Hammer, Francesco Zappa Nardelli, Suresh Jagannathan and Jan Vitek. Onward! 2013. Thomas Würthinger, Christian Wimmer, Andreas Wöß, Lukas Stadler, Gilles Duboscq, Christian Humer, Gregor Richards, Doug Simon and Mario Wolczko. OOPSLA 2012. Fadi Meawad, Gregor Richards and Jan Vitek. OOPSLA 2011. Gregor Richards, Andreas Gal, Brendan Eich and Jan Vitek. ECOOP 2011. Gregor Richards, Christian Hammer, Brian Burg and Jan Vitek. PLDI 2010. Gregor Richards, Sylvain Lebresne, Brian Burg and Jan Vitek. Bloom, John Field, Nathaniel Nystrom and Rok Strnisa. Plof, a programming language in which the grammar and semantics of the language are defined at runtime, and changeable at any time during execution. Fythe, the next generation of Plof's VM. Nowhere near complete yet, but includes an in-progress JIT and shares all of the more dynamic features (language defined at runtime) with Plof. GGGGC, or Gregor's General-purpose Generational Garbage Collector. A non-conservative moving garbage collector that is usable from C (with only a few, reasonable restrictions). Reasonably performant and great for writing VMs, e.g. Fythe. Everybody needs a life outside of research, right? I write music in a neoromantic style influenced by Borodín, Chopin, and various other composers who I'm not particularly worthy of comparing myself to. More information is available on my music page. At the moment, (slightly) more useful information on me can be found at my personal homepage, codu.org. Interested in my hat collection? You can decide which one I'll wear!